Posted August 19, 2013 by Jenny & filed under . Sue was unhappy with the comfort and look of her upper denture and the few remaining lower teeth were hopeless. 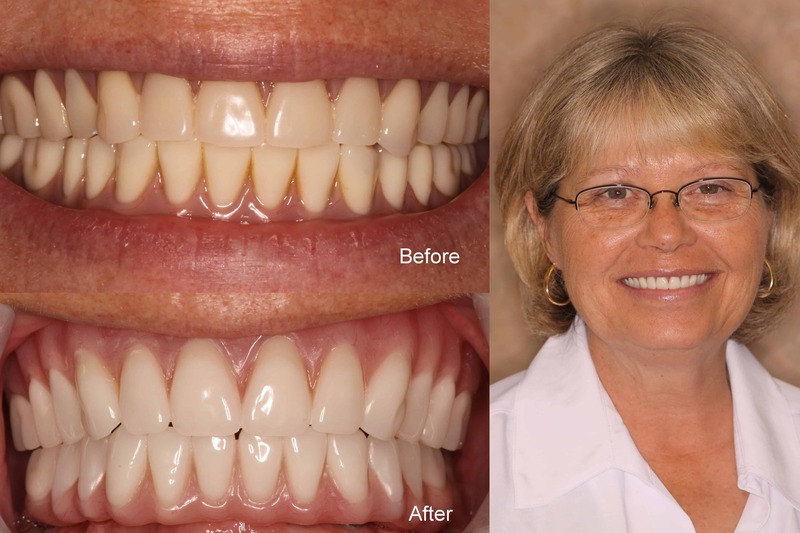 Dr. Norton was able to give Sue a beautiful new smile and a lower hybrid denture fastened to lower implants.